Watch! 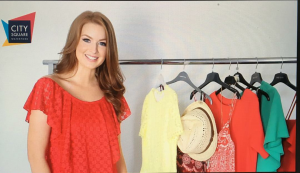 Lisa helps you solve that summer dress conundrum by taking a look at midi, mini, maxi and shift dresses in City Square shopping Centre, Waterford. She called into Debenhams, River Island and Golden Spiderweb. Please note the prices may change with summer sales.